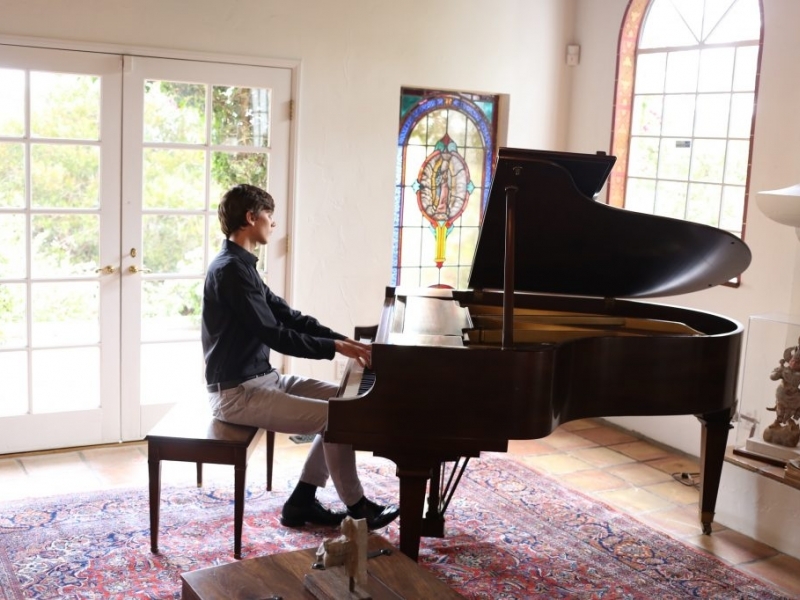 Daniel Linder lives in Los Angeles and is currently pursuing a Doctor of Musical Arts in piano performance at the University of Southern CaliforniaНs esteemed Thornton School of Music, where he studies with pianist Bernadene Blaha and teaches piano as a graduate teaching assistant. Dan grew up in Daniel Linder is a Los Angeles-based pianist and teaching artist. He has performed solo and collaborative recitals to high acclaim in venues across the United States and in France and Denmark, and recordings of his performances have aired on KUAZ Classical Radio in Tucson, Arizona. Recent accolades include the 2018 Fresno Musical Club Susan Torres Award (first prize), and prizes in the 2017 James Ramos International Video Competition, the 2015 Seattle International Piano Competition, the 2014 Los Angeles International Liszt Competition, the 2014 Arizona State Music Teachers Association Competition, and the 2014 Lois Trester Piano Competition at the University of Arizona. Equally dedicated to traditional repertoire and lesser-known 20th- and 21st-century works, his programs pairing contemporary repertoire with the older canon have been well-received in recitals and competitions. He recently presented a lecture recital on Maurice Ohana's mature style and performed Ohana's first book of etudes, the Six Études d'Interprétation at the University of Southern California. After presenting his research on Ohana at the 2018 USC Graduate Research Symposium, he was awarded first prize for research in the Humanities. Dr. Linder was recently named outstanding graduate (Class of 2018) by the Keyboard Studies Department of the University of Southern California’s Thornton School of Music. Before moving to Los Angeles to complete his D.M.A. in piano performance, he earned a M.M in piano performance from the University of Arizona and a B.M. in piano performance from Northwestern University. His principal teachers are Bernadene Blaha, Dr. John Milbauer, Alan Chow, and Dr. Rose Chancler. Daniel has spent multiple summers of concentrated music study at the Chautauqua Institution Music Festival in Western New York. In July 2014, he gave performances in East Hampton and Southampton, NY as a participant of Pianofest in the Hamptons. In Summer 2015, he performed at the Académie de Fourvière in Lyon, France, funded by a grant from the International Festival Society, and performed a solo recital at the Rønnebæksholm in Næstved, Denmark. 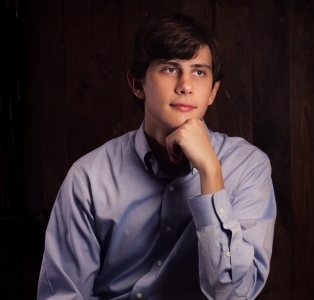 In June 2017, he was awarded a full scholarship to attend the Art of the Piano Festival at the University of Cincinatti-College Conservatory of Music. He has performed in master classes for Emanuele Arciuli, Jeremy Denk, Stephen Hough, Jerome Lowenthal, Anton Nel, Rebecca Penneys, and Nelita True, among others. An enthusiastic teacher, Dr. Linder enjoys working with students of all abilities and ages in varied settings. While completing his doctoral studies at USC, he taught piano majors as the Keyboard Studies Department studio teaching assistant, and taught applied lessons and group classes to music majors and non-majors. He taught group piano to undergraduates at the University of Arizona and was named Outstanding Graduate Teaching Assistant for the UA College of Fine Arts in Spring 2014. He is active as a private teacher in Los Angeles and is on the faculty of Neighborhood Music School and Musical Beginnings Music School. He has presented lectures on piano pedagogy and music teaching and learning at state and national conferences of the Music Teacher’s National Association (MTNA), and he recently wrote an article on memorization that was published in CAPMT Connect, the e-Journal of the California Association of Professional Music Teachers (CAPMT). Genres & Ages Taught I teach students of all ages, including children and adults. I specialize in Classical repertoire but am able to teach all genres. Liszt/Wagner: Recitative and Romance from Tannhäuser, "O Du, Mein Holder Abendstern"